This study dramatically illustrates one of the seven sins of memory: suggestibility. Faulty eyewitness testimony is one of the leading causes of wrongful convictions in the US. On the basis of mounting evidence, psychologists have argued that a major contributing factor to these wrongful convictions is one of the seven sins of memory: suggestibility (Schacter, 1999). Dramatic evidence for how easily eyewitnesses are swayed comes from a study carried out by Gary Wells and Amy Bradfield at Iowa State University (Wells & Bradfield, 1998). Like many of the best studies it is deceptively simple, but its implications for the criminal justice system are profound. Participants were asked to watch 8 seconds of grainy security camera footage showing a man walking into a store. The footage was slowed down so that participants could get as much information as possible. The quality of the video, however, was not that good. After watching the video, participants were told that the man is a murderer. Just after the footage cuts away, the man shot and killed the store’s security guard. This information is not misleading – the CCTV footage is real – as is the subsequent murder of the security guard. Participants were then told that their job is to identify the killer from a five-person photospread. 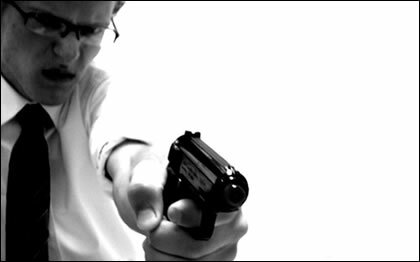 This photospread was identical to the one used in the real case except – and here’s the twist – the real gunman has been removed. Having been told, though, that the gunman is in the photospread, all the participants identify one of the men. One group of participants were given no feedback on their choice of suspect. The second were told they had made the wrong choice from the photospread and that the answer was one of the other men. The third group, though, were congratulated: “Good, you identified the actual suspect.” Although, of course, they hadn’t – no one had. After this participants were asked about many aspects of their identification including how certain they were, how good their view of the gunman was and their ability to make out the details of his face. The results showed that simply congratulating participants on choosing the right suspect had a huge effect on their reports when compared to those told nothing and those told they were wrong. Those given positive feedback were suddenly much more sure they were right, thought the identification was easier, had a better view, thought their judgement was more trustworthy and would be more willing to testify. Those given positive feedback even placed more confidence in their own ability to identify the gunman. Remember that everyone is providing these reports based on exactly the same piece of store camera footage. Also, remember that everyone is wrong because the real gunman has been removed from the photospread! The surprising thing about this experiment is what a massive effect a simple statement had on such a wide variety of factors. Giving positive (although incorrect) feedback to participants catapulted their confidence in their identifications much higher than they would have been otherwise. On a 7-point scale only 15% of the eyewitnesses who were given negative feedback rated their confidence in their identification at either a 6 or a 7. Compare this with the eyewitnesses given positive feedback – 50% rated their confidence at either a 6 or a 7. Participants given positive feedback even thought the security camera footage was clearer. 47% rated it at a 6 or 7 out of 7, compared with none of the eyewitnesses given negative feedback. In a second part of the study, the authors wanted to see whether people have any idea that the feedback they receive affects their confidence in identifying the gunman. Despite the fact that it did have a substantial measurable effect, people denied the feedback had any influence whatsoever. If you followed my series on the hidden workings of the mind, this finding won’t be a surprise. Given the huge effect that feedback can have on confidence, clearly eyewitnesses should not be told whether they have identified the suspect or not. Wells and Bradfield (1998) point out that even when witnesses are not given verbal feedback, it is virtually impossible for police officers to avoid information leaking out through body language. The solution suggested by Wells and Bradfield (1998) is that those administering the photospreads to eyewitnesses should be blind to the real suspect. A statement should then be taken before eyewitnesses discover whether they have picked the suspect, and their judgement is affected. Although they may subsequently inflate their claim, at least this can be compared with their original statement. Incredibly, ten years later, it is still routine practice in the US and UK for many police forces to provide positive feedback to witnesses. This is perhaps unsurprising given the police’s interest in securing convictions. Positive feedback will almost certainly bolster witnesses’ confidence, thereby improving the impression they make in court. Moves to reform police procedures in the US have foundered despite the repeated confirmation of this study’s findings. Similar moves are afoot in the UK, but changes have only so far been made in some police forces. Wells, G. L., & Bradfield, A. L. (1998). Good, you identified the suspect: Feedback to eyewitnesses distorts their reports of the witnessing experience. Journal of Applied Psychology, 83, 360-376. 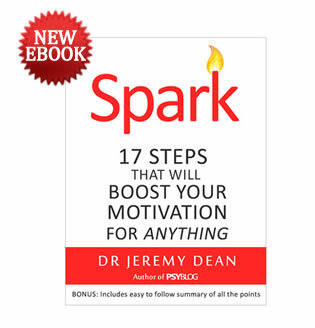 PsyBlog’s new ebook, “Spark” is a step-by-step guide to using psychological techniques to achieve the goals you want. Being passionate about a project or goal — no matter how big or small — makes us feel alive.